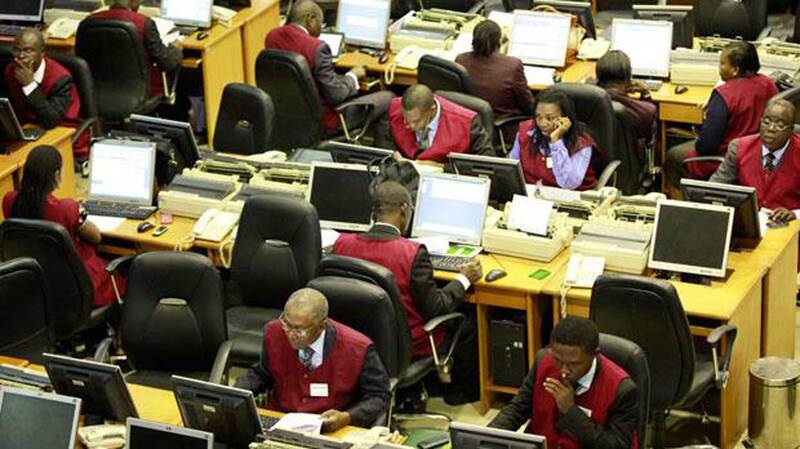 Equity transactions on the floor of the Nigerian Stock Exchange (NSE), closed on a downward note yesterday, occasioned by losses recorded by most bluechip stocks, as market capitalisation shed N55 billion.Yesterday, the All -share index (ASI) was down by 151.17 absolute points, representing a decrease of 0.46 per cent, closing at 32,963.27 points. Similarly, the market capitalisation decreased by N55 billion to close at N12.034 trillion. The decline was impacted by losses recorded in medium and large capitalised stocks, amongst which are; Dangote Cement, Stanbic IBTC Holdings, Berger Paints, NASCON Allied Industries, and Custodian Investment. Analysts at Cordros Capital Limited, said: “We reiterate our view of a negative outlook for the equities market in the short to medium term, amidst political concerns ahead of the 2019 elections, and the absence of a positive market trigger. Market breadth turned negative with 23 losers and 17 gainers. UAC Property led the gainers table by 10 per cent to close at N1.89 per share. Niger Insurance followed with a gain of 8.82 per cent to close at 37 kobo. UPL appreciated by 7.33 per cent to close at N2.05 per share. Veritas Kapital Assurance rose by 7.14 per cent to close at 30 kobo, while Zenith Bank gained by 4.65 per cent to close at N21.40 per share. On the other hand, Berger Paints led the laggards’ table by 10 per cent to close at N6.30 per share. Prestige Assurance followed with a loss of 9.80 per cent to close at 46 kobo. Royal Exchange shed 9.09 per cent to close at 20 kobo per share. Jaiz Bank dipped by 8.93 per cent to close at 51 kobo, while Union Diagnostic & Clinical Services went down by 8.57 per cent, to close at 32 kobo per share. Also, total volume and value of traded declined by 22.77 per cent and 37.50 per cent to 172.20 million units and N2.05 billion respectively, exchanged in 2,866 deals. Transactions in the shares of Fidelity Bank topped the activity chart with 33.81 million shares valued at N57.28 million. Guaranty Trust Bank traded 27.3 million shares worth N1.02 billion, and United Bank for Africa (UBA) transacted 19.77 million shares valued at N165.83 million.